Your surfaces have never been more durable than when they have been sprayed with Line-X protective coatings in Jacksonville, FL. Safari Truck & SUV Accessories is the only authorized local dealer in the area that can provide you with the high-quality Line-X applications your surfaces need to ensure they are being properly protected. The team at Line-X has made their name by creating tough, nearly indestructible spray-on bed liners. What people aren’t as familiar with is the fact that these Line-X protective coatings can be applied to just about any type of surface you have around your work, home, or vehicle. 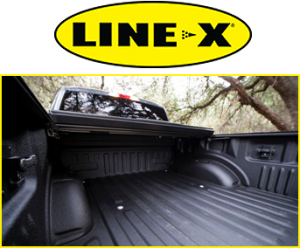 Speak to our team to learn how Line-X’s products go beyond just truck bed liners. If you have a surface or an object that needs extra protection from the elements then you are in the market for a Line-X protective coating. These coatings are already known for their durability and long-lasting protection they provide to truck bed liners and now more and more people are using that same exceptional protection to safeguard bridges, boats, trailers, construction equipment, farm equipment, and many other types of objects and surfaces. The Line-X coating products we use are specialized, high-performance spray-on elastomeric coatings. These coatings have been engineered to provide you with maximum durability as well as limitless application potential. Whether applied to metal, concrete, wood, plastic, or fiberglass, our Line-x applications are capable of absorbing impact and resisting damage by remaining both strong and flexible, without losing any of its permanent adhesion. Contact us to properly protect your truck’s surfaces with Line-X protective coatings. Our store is the only local, authorized dealer of Line-X protective coatings and applications in the communities of Jacksonville, Jacksonville Beach, and Arlington, Florida, as well as the surrounding areas.